Week 13 was another strong one for my predictions and hopefully this is a sign that I’m making a nice playoff push. Speaking of that, entering this weekend there are only a handful of teams that have officially been eliminated from playoff contention. With so much uncertainty surrounding even the teams figured to be contenders in each conference, this could be one of the wilder regular season finishes in recent memory. Fortunately for us as fans, there will be 15 games between Sunday afternoon and Monday night to enjoy while we continue to sort out the playoff picture. Game of the weak: Jets vs 49ers: Did I really have a choice with this one? While it’s something nobody wants to say about teams, a lot of analysts felt the Jets just quit this past Monday night. They’re officially in tanking mode as Bryce Petty has been named the starter so the Jets have a quarter of a season’s worth of tape to evaluate him on. The 49ers had been competitive in recent weeks, but then couldn’t find any semblance of a passing game in the snow against the Bears. Game of the week: Ravens vs Patriots: This installment can so often become the NFC East game of the week (a strong division helps the case this year) that I wanted to go with something different. Despite sitting at 7-5 and atop the AFC North, we still don’t know how good the Ravens actually are. Their two best wins are at home against the Steelers (Ben Roethlisberger’s first game off returning from injury), and a complete beatdown of the Dolphins who metrics would say aren’t as good as their record would suggest. 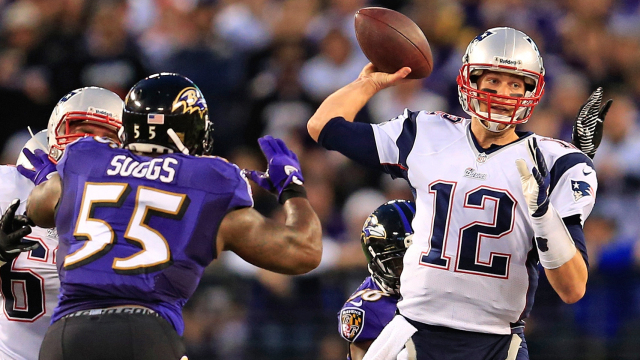 Despite that, the Ravens and their brand of football always tend to play the Patriots tough. This entry was posted in NFL, Picks against the spread, Week 14 predictions and tagged 2016 NFL Predictions, 2016 week 14 predictions, Arizona Cardinals, Atlanta Falcons, Baltimore Ravens, Buffalo Bills, Carolina Panthers, Chicago Bears, Cincinnati Bengals, Cleveland Browns, Dallas Cowboys, Denver Broncos, Detroit Lions, Green Bay Packers, Houston Texans, Indianapolis Colts, Jacksonville Jaguars, Los Angeles Rams, Miami Dolphins, Minnesota Vikings, New England Patriots, New Orleans Saints, New York Giants, New York Jets, NFL, Philadelphia Eagles, Picks against the spread, Pittsburgh Steelers, San Diego Chargers, San Francisco 49ers, Seattle Seahawks, Tampa Bay Buccaneers, Tennessee Titans, Washington Redskins. Bookmark the permalink.